Spondylolysthesis is one cause of chronic low back pain. 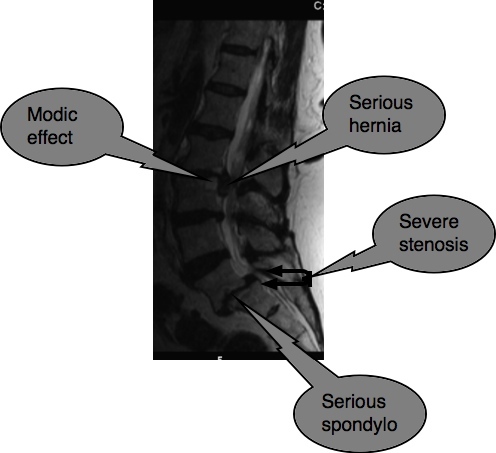 The term spondylolysthesis may be spelt with an i instead of a y. TYPE 1: A stress fracture between the facet joints. TYPE 2: Degenerative wear and tear of the facets, changing the shape and orientation of the facets. Both types allow the vertebra to slide forwards on its nearest neighbour below. The spine fits together with an ingenious system of interlocking facets that click into the vertebra above and below. Each vertebra has four facets, two right and two left. Sometimes it's called an anterolisthesis. Between the two facets lies the crucial weak area, the so called pars. Its full name is the pars interarticularis; a narrow isthmus of bone that links the two articular facets. 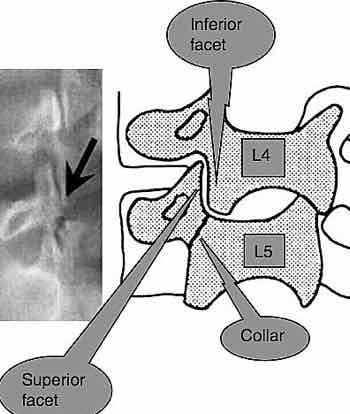 Notice the powerful, secure mechanism in the graphic below as the inferior facet of the vertebra of L4 locks neatly into the superior facet of L5. 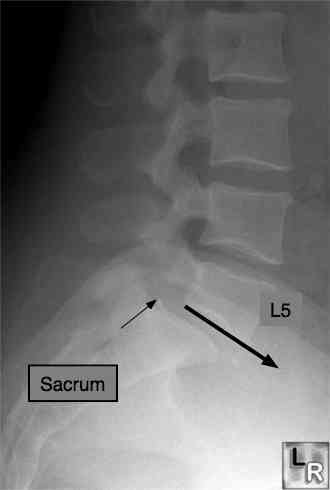 It's quite impossible for L4 to slide forwards on L5; unless there's a fracture in the pars of of the fifth lumbar vertebra. A spondylolisthesis is diagnosed from an xray though the astute clinician may be able to palpate it. There is often a distinct abnormal relationship between the spinous processes as the body slides forwards and the posterior elements become more prominent posteriorally. In order for the fracture through the pars to be seen a specific view, the oblique, must be taken. This enables us to see the scotty dog. And even then the fracture may not be clearly seen and a scan may be necessary, but only if you are not responding to treatment. The fracture usually occurs in early childhood, though fast bowlers in cricket often get it. In that case it's really a stress fracture. But also any heavy fall onto the buttocks can fracture through the pars, as can a kick in the back in karate, for example. Obviously, as with any fresh, new fracture, manipulation is contraindicated. 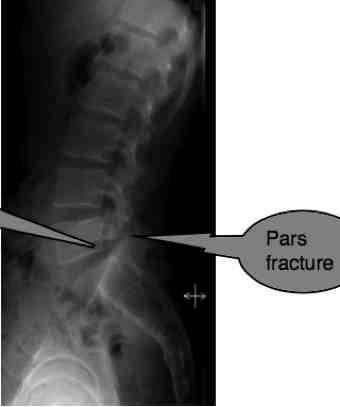 Recently I have seen a healed bilateral pars fracture, but that's the exception. They don't usually heal because mostly they are diagnosed until months or years later. A corset in my book is mandatory with a fresh pars fracture, and then it might heal. Can you spot the so-called "Scotty Dog"? If Scotty has a collar, then there is a defect. The defect itself is called a SPONDYLOLYSIS . It takes two 'Lysis', one on each side, to allow the vertebra to slide forward, the SPONDYLOLYSTHESIS. 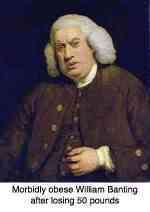 "inter-articularis" = between the articulating facets. Can you see the crack in the pars in the graphic above? 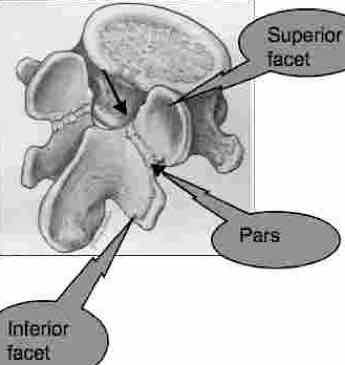 Current opinion is that in childhood, when the pars is still made of cartilage, a heavy fall, or something ... it's almost never recalled, a fracture through BOTH pars interarticularises allows one vertebra to slide forward on that below. If a lumbar joint has been fixated for a long period of time, immobilisation arthritis sets in at the facet joints. They change shape, become flattened and degenerate and allow the vertebra above to slide forwards, without a fracture in the pars. Nerve root impingement and chronic low back and leg pain are common. In practice most spondylos due to fracture, or spondys as we call them, are usually stable. They cause discomfort and nagging pain periodically but no great dramas. They are seen in busy chiropractic clinics virtually every day of the week. In my experience, all of thirty three years, the problem is often not at the spondylolysthesis, but at one of the adjoining joints. Either in one of the sacroiliac joints, or at the level above or below the spondylolisthesis. In this case, at the L4 L5 joint. Spondylolysthesis is never cured, and must come under management by your chiropractor. I recommend an occasional, but regular, consultation. Daily exercises are essential, and an acceptance that playing silly buggers should have no place in the lifestyle of a person with a spondylo. Lifting pianos, heavy gardening and perhaps worst of all long periods of sitting do not belong in the life of person with a spondylolysthesis. Now for a spondylolisthesis casefile. SPONDYLOLYSTHESIS CaseFile ... successful resolution of a difficult case. Mr P consulted me in October 2008, still with severe pain in the buttock and right leg. Nonchalant walking, standing and sitting remained problematic. His medical insurance was totally taken up with physiotherapy, but we agreed to a trial of 5 treatments. There was some progress with Chiropractic Help. I didn't see him again for three months during which time he progressively improved, coming in for another five treatments. Yesterday he told me he has no problem whatsoever. Sacro-iliac tests were strongly positive. Treatment: 10 chiropractic treatments over a period of 8 months. He is very faithful with his exercises and now comes every two months for an adjustment of his sacro-iliac joint. In the x-ray above you can clearly see the crack through the pars. This is an altogether different kettle of fish. Mrs T, aged 62 first consulted me 6 months ago. She has had lower back pain most of her life. Ten years ago she suddenly developed severe leg pain bilaterally, and was wrongly diagnosed with dystrophy in the lower legs by a neurologist. There are other causes of lower back and leg pain and clearly no xray was taken. She clearly has a serious spondylo with forward slippage, serious loss of disc height at L5 S1 and lumbar stenosis. Severe muscle weakness soon developed in both calves; at 52 she was unable to lift either heel from the ground. She was soon only able to walk with the aid of a walker. At the time, I would have recommended decompression surgery, not something I readily suggest, but it clearly should have been done; but it wasn't even considered. Walking remained very difficult. Four years ago, because of the weakness in her lower legs, she had nasty fall resulting in the severe herniation at L2 L3. Pure misery over and above her other pain, with severe pain down the side of the right leg. Notice the modic effect, deep bone pain caused by fluid that has seeped into the bone. I won't pretend there have been miraculous changes. She still uses the walker, and the strength in her calves will never return. But the pain in her back is much reduced, she has almost no pain down the side of the leg, and she can sit without pain and is not woken in the wee small hours of the night. She comes every six weeks now for control as we call it in Holland. We're both very pleased obviously. Update; one year later she is still doing very well. The strength will never return to her calf, so she uses a walker. It's really medical neglect though I'm unsure chiropractic could have done any better. My point? This is a case where surgery was indicated ten years ago. It's too late now as the damage to the nerves to the lower legs is permanent. Once your back pain has lasted more than six months, the definition of chronic, the chances that your back pain will never entirely go away increases. Living with back pain becomes increasingly a reality. Learning to help yourself is always important. That means more exercises. More back pain treatments. 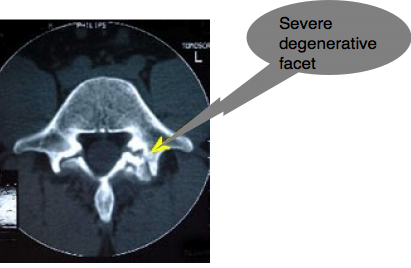 Upper thigh pain may be a radiation from the upper lumbar spine as Maigne's syndrome, or a slipped disc affecting the femoral nerve, or it may be a hip condition, and frankly a host of medical conditions such as a prolapsed uterus. Careful evaluation is paramount. What a fascinating book! "OPEN" by Andre Agassi is un-put-down-able. Read about how he survived spondylolisthesis to become the greatest tennis player ever. OPEN ANDRE AGASSI and absolutely detested tennis! Do you find cases like this interesting and useful? Then perhaps you'd like to accompany me through the polders of Holland where I spent seven busy years practising chiropractic on patients like those above.